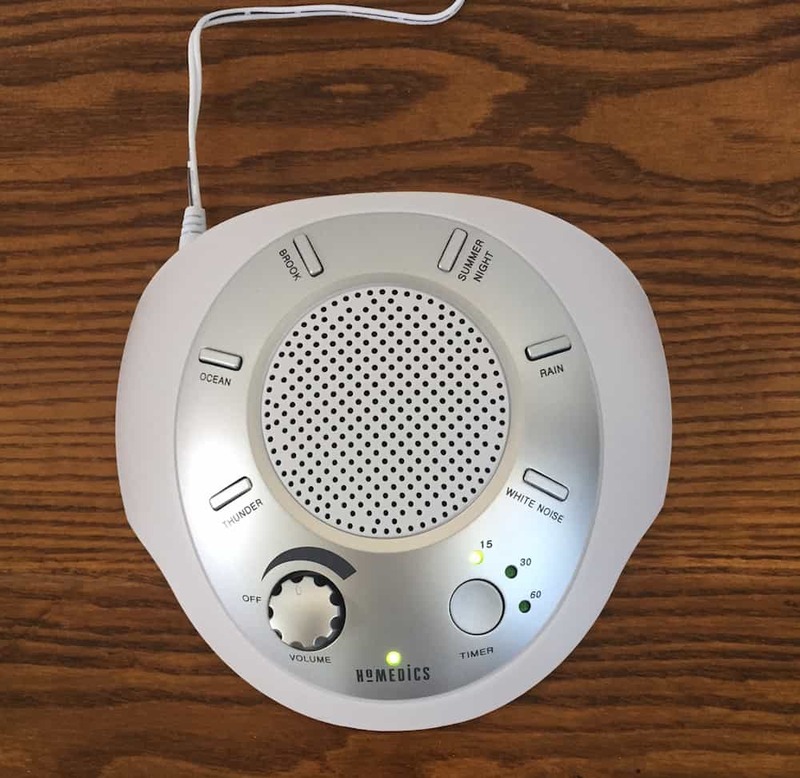 This machine is the grown up version the previously reviewed Homedics myBaby portable sound machine for babies. 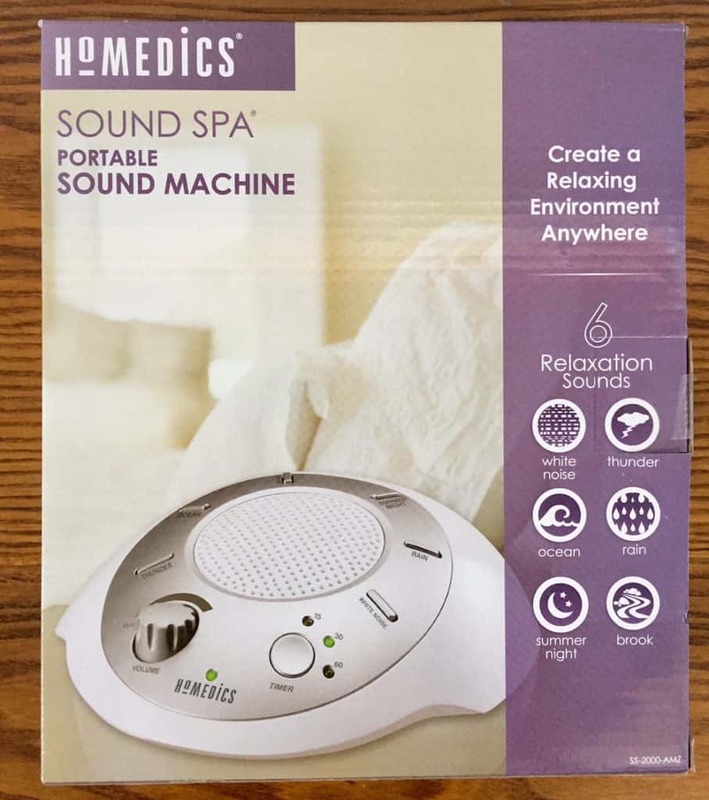 Read on to see if the Homedics Sound Spa Portable sound machine compares to the model intended for babes. Looking for a quick read? Click here to jump to the summary! Small and lightweight, this sound machine is as portable as it is functional. The Homedics Sound Spa Portable is small, lightweight sound machine. Almost flying saucer like in appearance, this plastic model includes 6 nature sounds, a 15, 30 and 60 minute timer and is both battery and adapter powered. The speaker is centered in the top middle of the machine. The adapter is included and the batteries, 4 AA, can be easily inserted in the back panel of the machine – no screwdriver necessary. It comes with a limited one year warranty. Simple to use the Sound Spa, just like the baby version, is very intuitive. After plugging in the machine or inserting the batteries, use the volume dial to turn the machine on and off. Select the sound of your choosing, and if preferred, the amount of time you want the sound to be on by pressing the timer button. The 15, 30 or 60 minute light will indicate your selection. For those who like to sleep with consistent sound throughout the night, leave your selection and forgo using the timer. Top Picks: Check out my best white noise sound machine page! The Sound Spa is easy to navigate and small enough in size to be used most anywhere. 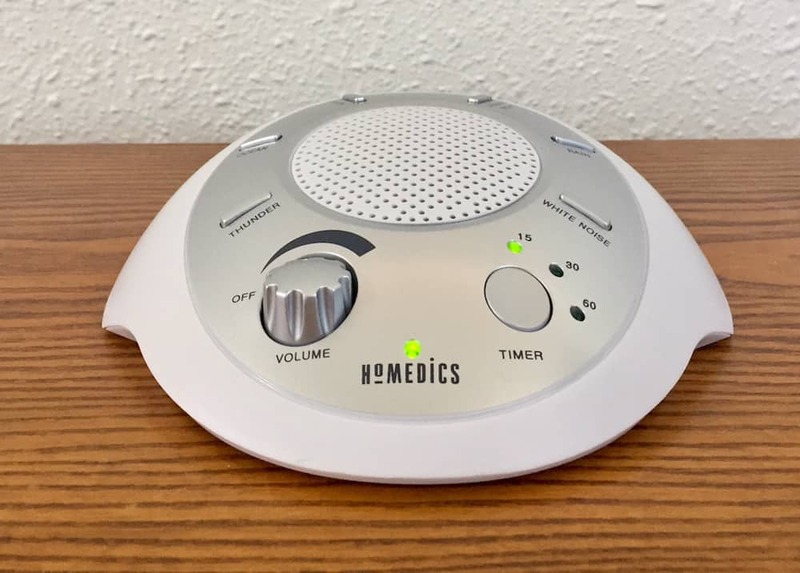 I used the white noise option, adjusted the volume towards the lower half of the dial (after trying it at a louder volume initially to only fear we may have blown out the speaker) and I slept well. My instincts are to use this as a travel sound machine, as I have two young children and I fear that the slightest tumble would have this in pieces on the floor. Given the price point and the weight of this machine, it did not come as a surprise. It would only take one wrestling match between my boys to potentially put an end to this somewhat fragile seeming option. This machine could be ideal in a guest room, for an older child or in a more private environment for a college student, though it may not hold up in a dormitory. 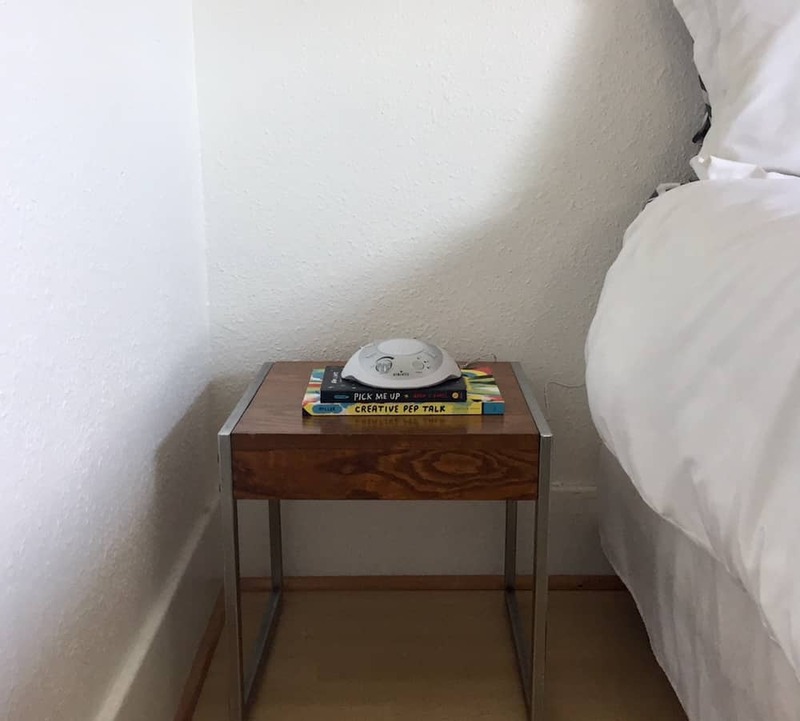 Essentially with the Sound Spa you get the quality that you pay for, which is fine for perhaps temporary housing or a room that gets used every-so-often. The Homedics Sound Spa is available at most big box stores and retails for $19.99 at Target, Walmart, Amazon and Bed, Bath & Beyond. Though not as popular as some of the other machines reviewed, fans of the Sound Spa are dedicated in their enthusiasm. The biggest complaint I discovered were people whose machine died rather quickly or did not stand up to usual wear and tear. I would use this for travel or perhaps on a long road trip for my children, but not in my day-to-day. Consider it a trade-off, if you want to spend less this is an option that may not last as long as the more expensive counterparts. To paraphrase one reviewer, I would rather invest more money on a machine that will withstand my lifestyle (be it children, dogs, clumsy owners) than purchase 4 of this model in a year. Ready to Buy the Homedics SoundSpa? Grab it on Amazon! Amanda Carter Gomes is a writer and editor living in Seattle. She spent much of her early career working marketing and as a creative consultant. 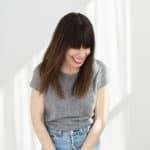 Most recently Amanda launched and edits The Fold, an online publication for "women of an uncertain age and particular attitude" to fill the gap in content focused on women beyond the millennial age range.